The brutal murder of Saudi journalist Jamal Khashoggi may not have been an isolated incident, a new report revealed Sunday. About 15 Saudi nationals were deemed responsible for having killed Khashoggi after he entered the Saudi consulate in Istanbul in October 2018 in order to obtain the documents he needed to marry his fiancée. At first, Saudi Arabia denied its involvement the disappearance, then later blamed it on rogue members of the country’s security forces. But members of Congress briefed by U.S. intelligence agencies determined Saudi Arabia’s young Crown Prince Mohammed bin Salman, a close ally of President Donald Trump’s son-in-law and adviser Jared Kushner, was responsible for killing Khashoggi. Now, a new report by The New York Times suggests that not only was the crown prince behind the murder, the people involved in Khashoggi’s killing were part of a broader conspiracy that aimed to silence the Saudi leader’s opponents. U.S. officials briefed on intelligence told the Times that a team they called the Saudi Rapid Intervention Group was responsible for at least 12 similar operations over the last two years. Some of the victims of this group were allegedly tortured or forcibly returned to Saudi Arabia from abroad, all at the behest of the crown prince. 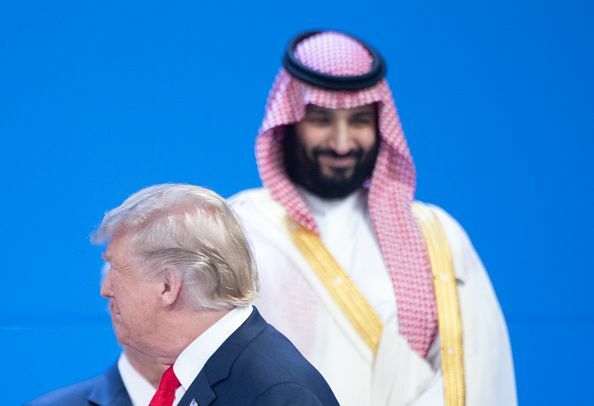 The report emerged as members of the Trump administration largely ignore allegations of widespread human rights abuses in Saudi Arabia in order to maintain its ties to the country. Congress is currently investigating the Trump administration’s plans to sell nuclear technology to Saudi Arabia, potentially without its approval. “The Trump administration’s interactions with Saudi Arabia have been shrouded in secrecy, raising significant questions about the nature of the relationship,” read a 24-page memo from the House Oversight Committee. The memo was released just one week before Kushner traveled to Saudi Arabia to discuss ways to increase cooperation with the kingdom. The president’s young son-in-law has reportedly been instrumental in pushing the Trump administration closer to Saudi Arabia. On Friday, Secretary of State Mike Pompeo spoke out against the Senate’s decision to pass a resolution to end U.S. support for a Saudi-led coalition fighting in Yemen, which has caused one of the worst humanitarian disasters in modern history. The Republican-held Senate passed the resolution on Wednesday with 54-46 votes, but Trump is expected to veto the measure. “We all want this conflict to end. We all want to improve the dire humanitarian situation. But the Trump administration fundamentally disagrees that curbing our assistance to the Saudi-led coalition is the way to achieve these goals,” Pompeo told reporters on Friday about Yemen. “If you truly care about Yemeni lives, you’d support the Saudi-led effort to prevent Yemen from turning into a puppet state of the corrupt, brutish Islamic Republic of Iran. If we truly care about Saudi lives, you’d want to stop Iran-backed Houthis from launching missiles into Riyadh,” he continued. The U.S. has provided refueling for Saudi jets flying to Yemen, intelligence assistance and billions of dollars of weaponry to support the Saudi war effort. Meanwhile, the Trump administration has also resisted calls from Congress to hold Mohammed bin Salman personally responsible for Khashoggi’s death.